This is my take on CRP and I’m not providing any medical advice but merely my opinion. You should consult with your doctor about this topic in detail. I’m merely giving you my personal thoughts. So, why do I take some many blood panels you ask? I believe one should monitor their health and take ownership to the process. While you should definitely have regular checkups with your primary care doctor, it’s now easier than ever to have the data on your health right at your fingertips. Today we have a responsibility to ensure our health and stay on top of it. With the information that’s available today we can be active participants armed with knowledge to help improve our health. The more we look to take preventative measures earlier on, we improve our chances of living healthier and longer. I’ve have studied many blood test markers and one that you need to keep an eye on is CRP, also known as C-Reactive Protein. Many times a doctor will have this test run in an effort to analyze heart disease risk. 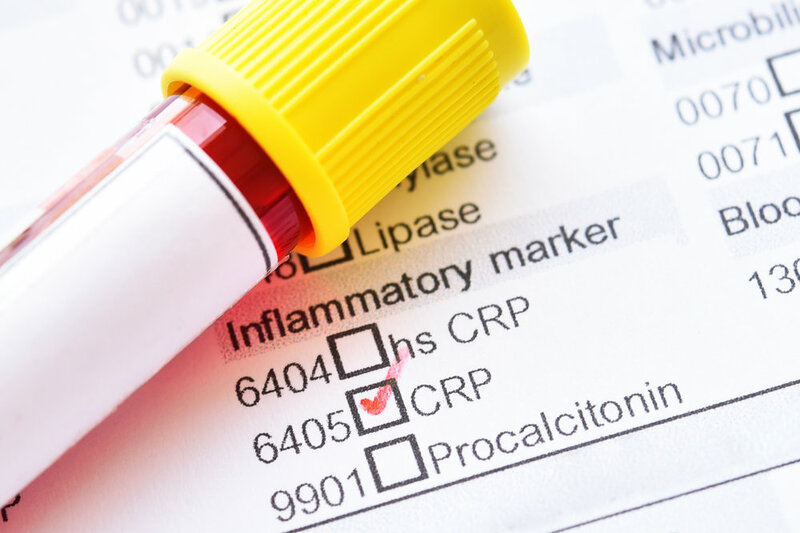 CRP is measured in a blood test and serves as a marker of inflammation. It’s often used to check for infections as well as coronary artery disease as I previously mentioned. CRP is manufactured by the liver and elevates when there’s an acute stimulus causing inflammation. Having many blood panels done over the years, I monitor my CRP levels in an effort to maintain low inflammation in my body. Should I see a rise, I now have a series of baseline tests to compare with and would be able to quickly show my doctor. CRP in and of itself is not bad for the body in that it helps fight infections, but if elevated for other reasons and longer than needed, it’s a warning sign your doctor should monitor. My most recent personal test was 0.43 which indicates my inflammation levels are low. Barring disease or infection, it is my belief that living a healthy lifestyle can go a long way to keeping systemic inflammation low. For those of you who want to go a deeper dive in the topic, here’s a few links on CRP that can give you more information. I also suggest you talk to you doctor about this blood marker as well as catching problems early is a key to longevity and good health.